The problem with the aggressive birds and Jugo’s cursed seal will only get more serious in “Boruto: Naruto Next Generations” episode 100. The preview shows Jugo experiencing another transformation while other teasers reveal Team 7 will lose an essential device to tame the troubled shinobi. Boruto, Sarada, and Mitsuki will still be working with Jugo and Tosaka in “Boruto: Naruto Next Generations” episode 100. They are trying to figure out what or who is controlling the birds and making them aggressive to hurt the villagers. But they do know that the birds are acting this way because of the power of someone else’s cursed seal. Jugo’s participation in this mission is important because, having his own cursed seal, he can absorb the power that is controlling the birds. He will continue to participate in “Boruto: Naruto Next Generations” episode 100 along with the ornithologist or bird expert Tosaka. Jugo also has a stash of tranquilizers that they will continue to use to rescue the birds. Things will go south after an “incident” that will cause Team 7 to lose all the tranquilizers they have in “Boruto: Naruto Next Generations” episode 100, according to the official synopsis (via @OrganicDinosaur). The said tranquilizer does not only rescue the birds, but it also helps Jugo to snap out of the cursed seal whenever he has an episode of transforming into a beast with a bloodlust. The previous episodes showed that a researcher from the Land of Rivers has been spying on them. Whatever “incident” will arise in “Boruto: Naruto Next Generations” episode 100, he could be one of the perpetrators. Meanwhile, the preview of “Boruto: Naruto Next Generations” episode 100 also shows Jugo transforming into a beast outside his cave. And if this is happening after they have lost all the tranquilizers, this could mean a great deal of trouble for Team 7 and Tosaka. 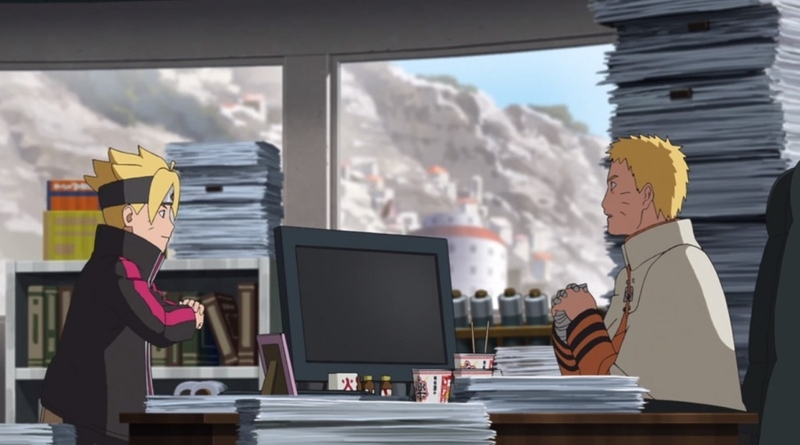 “Boruto: Naruto Next Generations” episode 100 is titled “An Established Path” that could be hinting at some flashback scenes involving Jugo. The next episode is slated to air on Sunday, March 31.